Neighbourhood News Desk/ Garima Kotroo: A Delhi based startup, Shellios Technolabs comes out with a great invention for the bike riders who literally exposed to the pollution on daily basis. Technolabs has designed a unique helmet which has the ability to purify air and provides clean air to the riders. The smart helmet proposed in 2016 when air quality in Delhi reached alarming levels for the very first time, raising health concerns. 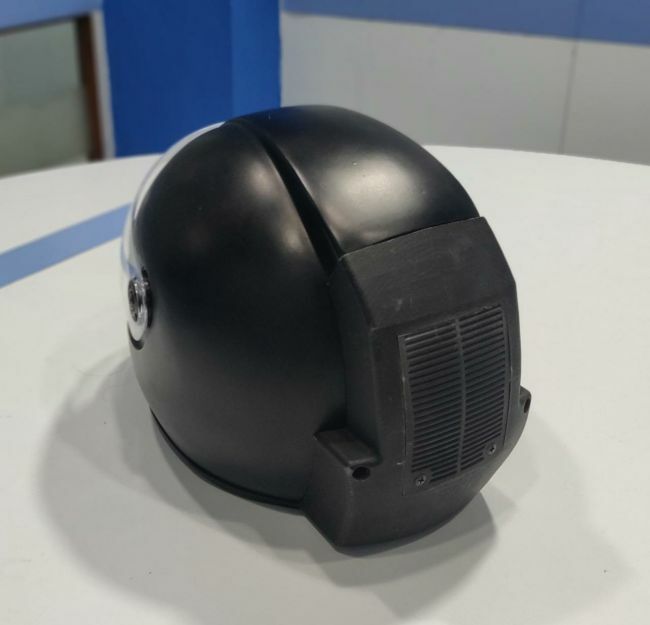 The air purifier fitted at the back of the helmet traps purifies all the polluted air coming from outside and circulates the fresh air inside the helmet. The cleaning unit works on a battery that can be charged via micro USB port on the helmet, just like you charge your mobile phone. One charge lasts for four to six hours.